A Quester's Journal: Lest We Forget! How do you feel about God using His demolition of a land a people as proof of His love? Are there better examples of God’s Love? Why do you think God chose to use this example? Is God justified in wanting someone to shut the temple doors? Why? How seriously would you take an apology that was accompanied by a handful of wilted flowers and a half-eaten box of chocolates? Why? How did the foreshadowing of every offering to God increase the backhanded statement of their defiled sacrifices? Who were they comparing to blind, crippled and diseased animals? Why is it that people who barely know God honour Him but those who profess to worship Him treat God disrespectfully? How do you see this happening today? How do you think a priest (in front of an audience, no doubt) would have felt to hear this message read aloud to them? Are priests held to a higher level of responsibility for spiritual things? Why? Back to the flowers and chocolates... After receiving wilted flowers and half-eaten chocolates as an apology, what statement would it make if you removed the flowers from the vase and empty water over the head of the one who brought them to you? Is God’s threat in vs 3 similar to this? Is it worse? What message is God trying to make very clear? A man who marries a woman who worships foreign Gods. A family who claim to be related but disrespect each other. A people who claim to worship God but do so dishonestly. Why is it so offensive to God if a man divorces his wife just because she is old and he wants a young one? How powerful is a covenant made by people before God? How powerful is a covenant made by God? How do these two things reflect each other? Malachi mean “My Messenger” — In these verses God speaks of a Messenger to come that He is sending with a special message. 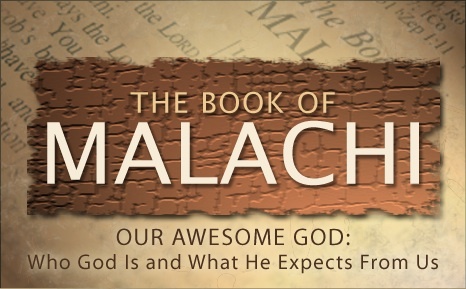 How do Malachi’s messages to the people of Israel foreshadow the words and actions of Jesus? What are the key messages about God and His nature in these verses? What are the key practices God gives that His people can follow to demonstrate their allegiance to Him? What will result from such allegiance? Why? Did the message get through? Were they ready for Jesus when He arrived? How receptive was His hometown? Jesus daily approaches the temple of our hearts, hoping to find a place where His message will take root and grow. 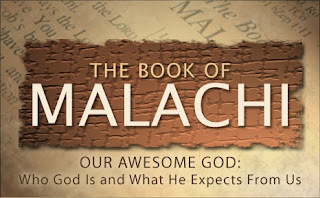 With the Temple of Jesus day as an example for us, how can we hear the words of Malachi the Messenger and take them to heart?